The New York City Board of Elections did it again. 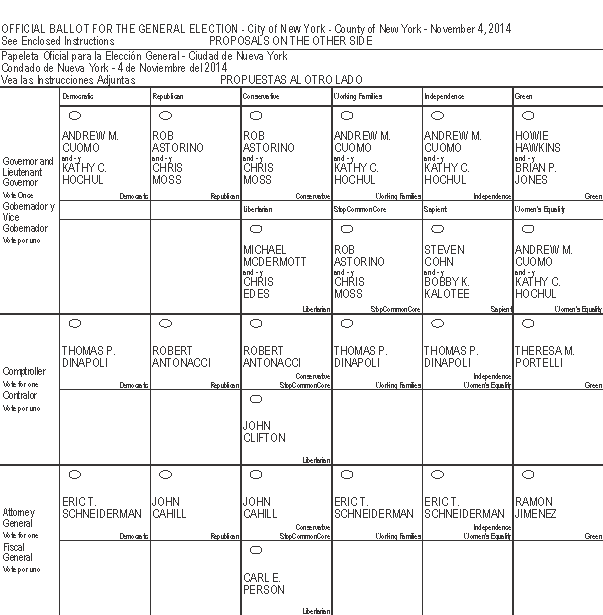 On this year’s ballot, candidates for governor will be on two rows, which can cause confusion and mistakes. 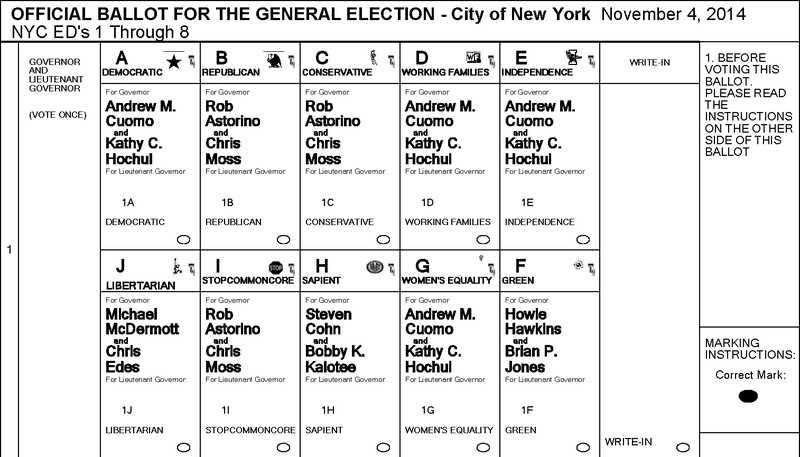 In past elections, the Brennan Center has highlighted the problems caused by confusingly designed ballots — and in particular, confusing designs in New York. This poor design increases the risk of lost or misrecorded votes — and that risk is even greater for particular groups, including low-income voters and the elderly. New York City is a large jurisdiction with a recent history of poorly designed ballots that are especially prone to “overvotes,” which are when a voter (almost always accidentally) selects more than one candidate for the same office. As it happens, this is similar to the design adopted in the rest of the state, where minor parties are not doubled up. Instead, New York City voters will be faced with another confusing ballot this November. That is bad in itself, but those who choose to cast their votes for minor parties will bear a special risk of losing their votes because of a poor design that penalizes everyone who chooses to vote neither Democratic nor Republican.